The weekend has finally arrived! For the last five days, I've had a influx of work come in. I'd begin every day at 3:00 am, start work at 6:00 am, and come home around 11:00 pm. Needless to say, I have tons of brushes to clean, my fridge is empty, and I have loads of posts to upload (no change there). I'm a HUGE Star Wars fan, so I squealed when I found this at 7-11. 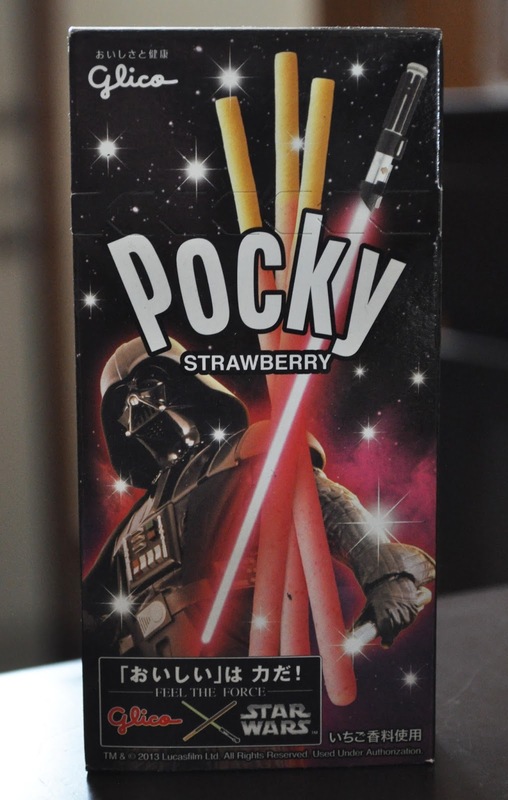 The Ichigo (that's strawberry in Japanese) Pocky, and lightsaber wrapper is adorable! What Pocky flavors have you tried? I think the odd-est Pocky flavor I've tried is the green tea one. Strawberry is quite tasty, so is the basic chocolate. 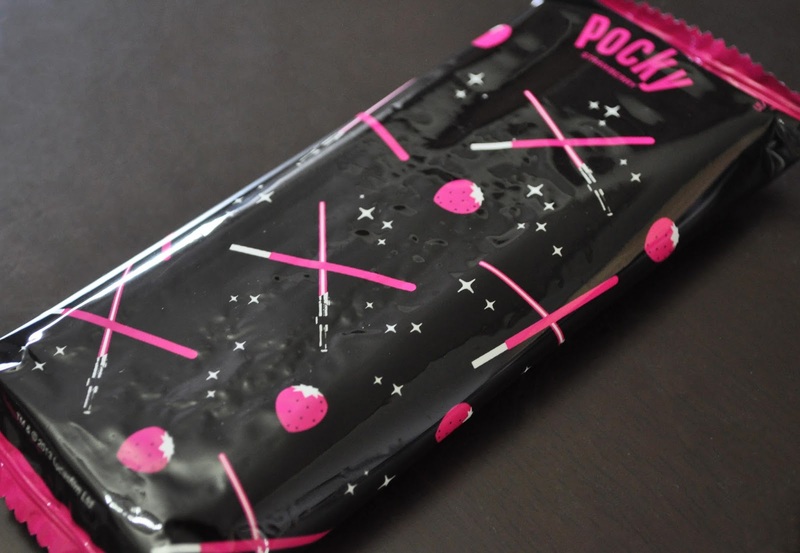 Then there's the Pocky gourmet (thicker chocolate coating with sprinklies), I think I've tried the dark chocolate one, and also the one with almond. Super yummy! Oh, the gourmet white chocolate Pocky is delicious! Also, I love the coconut, almond and orange flavored Pocky. Yeah, the name is funny, but I believe they still make the gentleman's Pocky. I'm not a fan of dark chocolate, so I haven't tried it.